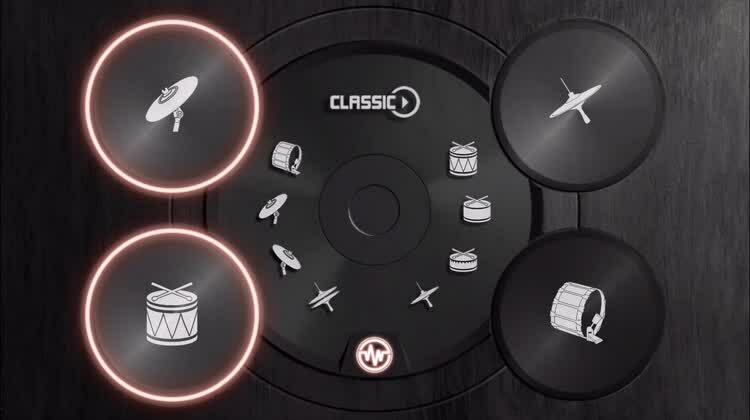 This virtual drum set allows you to create beats from practically anything. 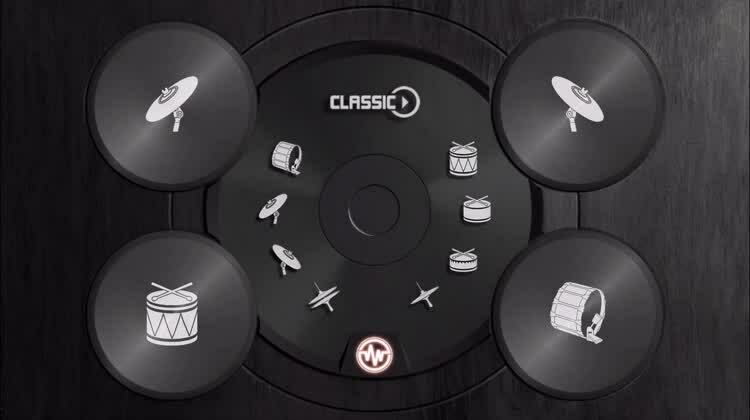 Play the drums in a whole new way; anytime, anywhere and on anything! Percussionists will love the physical feedback. 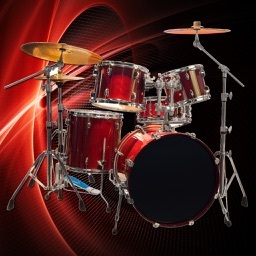 Additional drum kits are available via in-app purchase. 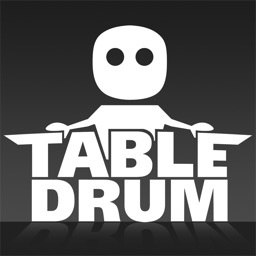 If you need to get that beat out of your head, start tapping with TableDrum. 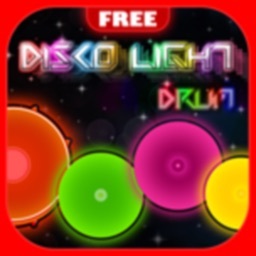 There’s nothing else like it in the App Store. As seen on Mashable, Gizmodo, MTV Geek, TrendHunter and Wired! Placed in New and Noteworthy in over 100 countries. Picked as Staff Favorites by Apple. "..., this app is simply too fun and too ingenious to ignore. 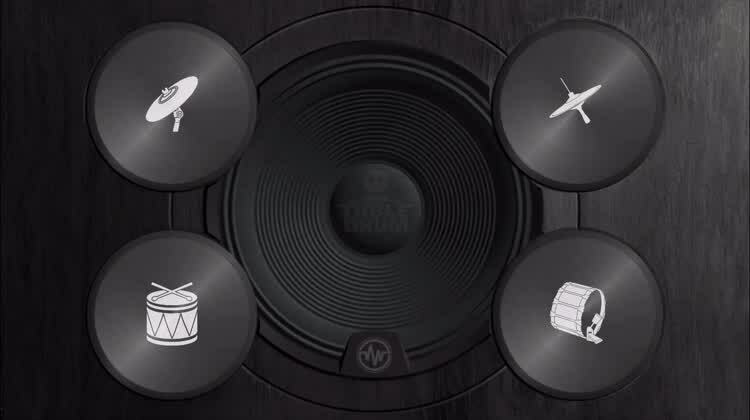 The interface is great and it sounds amazing when let loose." 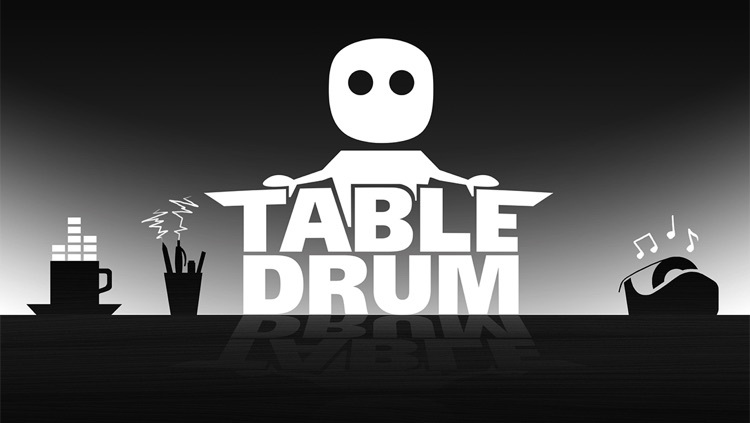 TableDrum is the Augmented Audio application that allows you to sync the sound of any real object and trigger a real time response of high quality drum sounds. 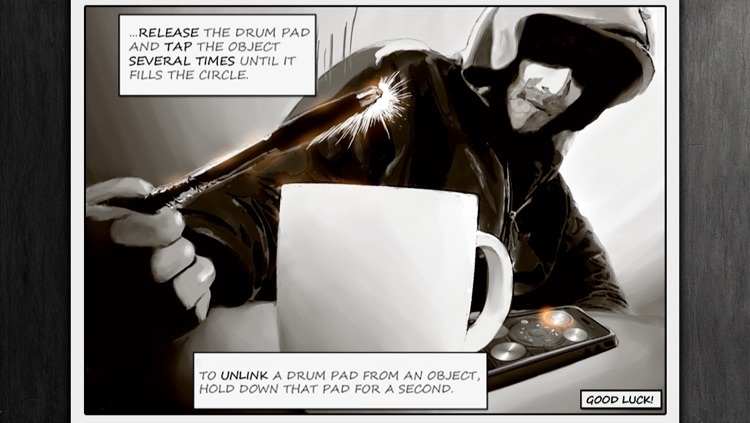 You can now build your own drumset from practically anything. 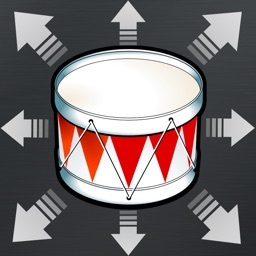 Drum applications where users tap the screen are things of the past. This is the future! Take it to the streets, show your kitchen table who's the boss or simply let your stuff feel the rhythm. 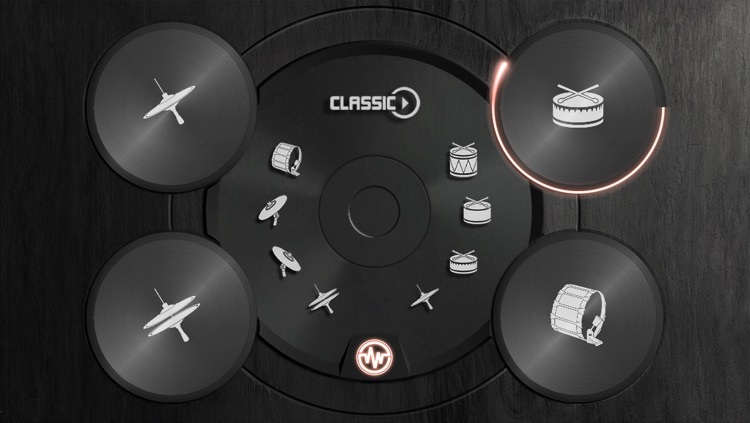 With the TableDrum application the world is now your virtual drum set. 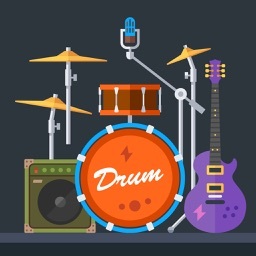 You can sync the sound of basically any real object to your iPhone, iPad or iPod Touch and link it to high quality drum samples of your choice. 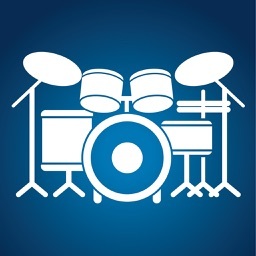 Included in the app is the Classic Rock kit with 8 high quality drum samples. 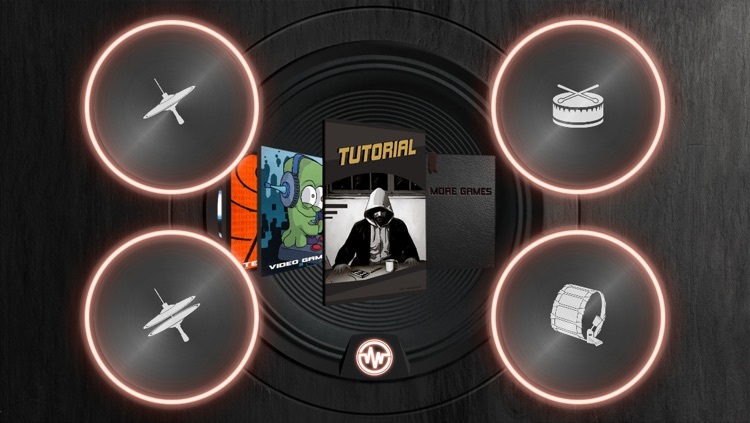 By expanding your sound library with the Ethno & Jazz kit and Electro and Glitch kit you can get access to another 32 high quality sounds to play with. Gear up with a couple of pencils and some office supplies, each one with unique acoustic characteristics, to drum on! Use headphones for best result. 1. 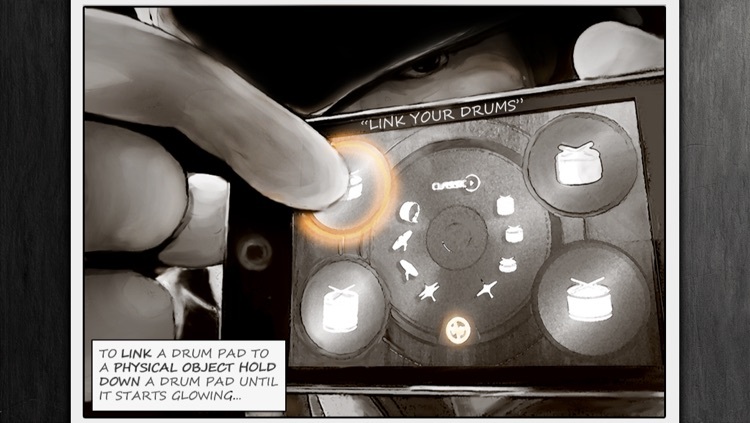 Hold down a drum pad until it starts glowing. 2. Release and tap a real physical object several times (4-8) while the light fills the circle. 3. When the linking process is done, the rim of the pad will glow. The app recognizes sound, so for the app to work at its best, the sounds you link should be different and distinguished. While you are playing, hit the object the same way as when you linked it. 1. Hold down the drum pad for one second. The rim stops glowing and is unlinked from the real physical object. Works with iPhone 3GS or later, iPod Touch Gen3 or later and all iPads. Devices without a built-in microphone require an external microphone to use the Augmented Audio linking. Today’s AGF list includes a racing game, a music app, and a reference app. Today’s AGF list includes a remote control, a music creation app, and an art creation app.